Below is the start of an article that’s been a long time coming. After years of publishing my fiction through big commercial publishers, with thirty-two novels sold to the big New York houses as well as to international publishers around the planet, and more than a million books in print, I have decided to move to self-publishing my fiction. Why am I going to start publishing myself? First, because books don’t stay in print anymore with major publishing houses, and my 32-novel backlist has just about vanished. Second, because I know self-publishing works, and doing this will allow me to write the books I want to write the way I want to write them, and present my stories to my readers without an intermediary. I imagine it seems a little crazy to walk away from twenty years of publishing with the major New York publishers to go into indie publishing and do all the work myself. The thing is, as fun as it is to walk into a bookstore and see your novels on the shelf, the rest of the experience gets old fast. Prior to reading John Locke’s book on self-publishing, I was going round and round with myself about giving up on fiction altogether. I was already publishing non-fiction (my writing courses), and the experience was FUN. And all the frustration, headaches, and fury associated with my fiction career stood in stark contrast to me being able to talk live to my students in a forum, get immediate feedback on work, and, frankly, get paid regularly. But I LOVE writing fiction. I didn’t want to quit—I simply didn’t see a way to make it fun again. To make it as immediate and joyful for me to create as my nonfiction. When I read Locke’s book, I saw myself. Someone who does not care about the numbers, who is not interested in constantly pushing for more readers, who wants only to write stories people love and to get them to the people who will love them. Being a “team player” has never been my strong suit. Not school, not in nursing, not in writing. I’m not writing for everybody, and I’m not interested in pretending I am. I want to write for the folks who already love what I’m doing, not to have someone constantly push me to make my work blander, safer, and more commercial so it will appeal to people who don’t like what I’m doing. I was BORN to be indie. And now I can. I hope you’ll join this adventure with me. How much does it cost to self-publish a novel? Specifically, a 45,000-ish word YA novel? I’m 14 years old and going into college this year (at least, that’s the plan so far–getting a GED and skipping high school legally, hehe), and it’s probably going to be pretty expensive, so a good $7,000 would be quite nice at the moment. Also, how long does it take? Less time than normal publishing, yes, but… I’m just curious. Learn the business. The kind of self-publishing you’re talking about is VANITY self-publishing, and it’s evil. I spent a couple hundred dollars each on my non-fiction Kindle, Nook, iBook versions of my writing clinics. I did my own cover art, but hired Hitch at http://booknook.biz to do the formatting because I didn’t have the time to learn to do it well myself. And I bought my own ISBNs. But that was it. Read the FAQs on my site—including the Legacy Publishing stuff, because that’s where you’ll find out about Vanity publishing. In the header above, go to Articles / FAQs, and just start reading. I was so glad–no, make that relieved–when I got your last couple of newsletters. I’ve been watching all these industry changes, reading blogs by Kristine Kathryn Rusch and others, and wondering what you were thinking about all this, because this self-publishing or indie publishing thing just seemed to have HOLLY LISLE written all over it. 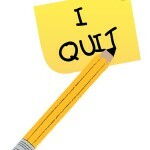 I’m so glad you didn’t make that decision to quit fiction! I think you’re going to do great at this. As someone that’s been following your site for a while, and someone that was inspired to finish my first novel by you (true story! ), this excites me to no end! I think you will do phenomenal with self-publishing. I hope to do the same. I should make that into a T-shirt. I’ve read Locke’s book (as well as some of his novels… which I have found entertaining enough that every few weeks I download another one) and have also been following a lot of discussion about e-publishing on various blogs… and I think you may be making a wise move. You have a degree of name recognition and enough of a fan base to get some decent numbers posted and start the kind of buzz about your books that could draw more readers to try them. Plus, there is the e-book magic of lower pricing that lures more new readers and yet still yields you more money per book than the traditional dead tree publishing does. I have been considering this as my next step. I just traditionally published my first book through an agent, and have a second one due to the publisher. I want to do some self published eBooks in the interim. You have given me a lot to consider. I’m really happy with it. It’s more fun, less frustrating, pays regularly—and I get to talk directly to my readers. You’re so generous to share with others your experience, thoughts and everything about writing. Wish you success in self-publishing. Sounds like self-publishing is going to be great for you. One question however. How do you plan to market your books without the support of the big publishers to the big book sellers? Or are you planning to sell only online? I’m interested because I’ve written four books – none of which have been accepted by publishers – anybody I show them to loves them (except publishers and agents) so I’ve been thinking of self-publishing. I believe I can sell the 1000 books that you need to sell to make a profit. I applaud your courage and determination but wonder do you recommend self publishing for those of us who are unpublished (forgive such a stupid question but I am new to your site). You know, I have to wonder…. the publishing houses cant be living in a vacuum… they have to see what’s coming and if they want to keep making profits, they gotta be assessing the current situation of self-publishing vs seek agent/publisher. Am I wrong on this? Do they have plans to combat this? Bravo Holly! I’m really impressed. The only thing which surprises me, honestly, is that it took you this long! I think this is a great course for you, and I just want to say – welcome to the club! I’ve been considering this for a while, (along with considering just hanging it up fictionwise and doing nothing but nonfiction) but picking up and reading through John Locke’s “Million Copies” book convinced me the e-book platform was finally widely accepted enough for me to make the jump. Realizing I had ten books sitting on my bookshelves for which rights had reverted helped. As did the realization that I could FINALLY find out what happens to Cadence Drake. Fifteen years has been a long wait for that. Thank you for the encouragement. I’m really excited. I hope you are also getting into e-publishing as well. I just moved to a new dwelling and most of the moving involved packing and moving books. I now have a Kindle and I plan on buying all my newer books are going to be on the Kindle. I am willing to buy a Nook as well if needed to read your books in the Cadence Drake series. Holly this is good news and I wish you the best in your self publishing endeavors. Oh, and where can I pre-order Cadence Drake II, and probably HTCB as well because I want it on the Kindle as well. I’ll be offering Kindle, Nook, iBook, and print versions of everything. Already have 100 ISBNs waiting to go (it takes three for each book, so that’s not as many as it seems). Holly, I’m so excited to hear you’re bringing back Cadence Drake!!! Woohoo!!! Congrats on striking out on your own…wish you nothing but a successful venture and look forward to finding out what Cadence has been up to over the last 15yrs!! Clunks Holly on the head. I’m looking through your list of books and none of them have a description so I can tell what they’re about and whether or not they have horses (don’t like books about horses). The more you tell, the more you sell works on the internet, too. Self publishing is going to be great for you, I can tell, and frankly I’ve been wondering for some time why you didn’t. Stay away from Talyn and Hawkspar (which I think are my best novels, but they’re full of horses—not about horses, but full of them). There are light horses in the Arhel books. Aside from that, I don’t think I horsed anywhere, but I don’t go back and read my own work after it’s done, so my readers will be able to tell you if I’ve missed anything. Something not related to writing and, yet, for you it may be. That migraine. If it is available in the USA, find a doctor who can give you a Magnesium injection. This is an available treatment here in Australia and my wife uses it when she has debilitating migraine. I love reading your newsletters and will explore your blog. I’m not surprised at all by your switch. As someone who’s been writing for more than forty years now (and I’m only fifty!) I was rather dismayed at the prospect of going through the gamut that is traditional publishing. It’s not that I don’t believe in the process–I own more books than most people, and read far more than I own, thanks to the public library. But for the first time, I’m actually confident that I can write a good story and find an audience for it. The problem with big publishers is that if your book is only going to sell to ten thounsand people, it’s not worth it to produce. Which means that in order to make a career in writing via traditional publishing, you need to start big and work up from there. People with modest success don’t get a second or third chance. So my goal, once I get a few publishable-quality novels ready, is to do excactly what you’re doing now. The problem with big publishers is that if your book is only going to sell to ten thounsand people, it’s not worth it to produce. Which means that in order to make a career in writing via traditional publishing, you need to start big and work up from there. People with modest success don’t get a second or third chance. Bingo. What I was hoping to do with Rebel Tales has happened on its own. The midlist has a new place to grow and thrive. I’m planning on publishing my firt book via E-book format through Smashwords e-pub site (just to throw another option out there). There are probably many out there, but I will be going with them. I subscribe to Dave Wolverton’s (David Farland’s) “Kick in the Pants” e-letter. He knows a lot about the publishing industry and I enjoy his writing advice also. All physical book sales are down, book chains are downsizing or going out of business. The future is E-publishing. I’m excited because it puts the power and deserved income in the authors hands. I’m saddened because I love the smell, heft, feel of a book – new, old, whatever. I love browsing the shelves in new and used. I don’t see the physical book becoming extinct, but it sure seems endangered. Check out Createspace and Lulu as options for offering your books in print. I’m going with Createspace for mine—they keep the prices much closer to what big publishers can charge for theirs. But I’ve used Lulu for years for my Clinics, and they keep good records and pay on time. Holly, more power to you. You have a great backlist and when you get control of it, they should sell for years and years. Yah! No more out-of-print. I haven’t read any of your paranormals, but have read almost everything else. Wonderful books that stay with a reader. I cried until my nose ran at the end of your Cadence Drake book. I have the outline for the second Cadence Drake ready as of today. I’m getting in in order for the HTTS Walkthrough now, and will start writing the book next week. Holly, you just never stop inspiring me! I’ve been taking your classes for a while now- first your How To Write A Series course, and currently your How To Think Sideways course. I too have a goal of self-publishing. It took a bad experience (from which wonderful lessons came) to make me realize that seeking publication with a traditional house would never have satisfied my goals in life. When I took your HTWAS course and you told me about the many series’ you’ve done that your publishers cut short, this affirmed what I’d learned. Born to be indie is a great way of putting it! Being the next big name in fiction would be great, but for me it’s about writing what I want to write, leaving the legacy I want to leave. Life is short. There are stories in me to tell. I believe in them. If I never make a cent as an author- which isn’t to say I don’t plan on working very hard toward success-I would prefer that to mourning the stories I didn’t tell when I breathe my last. Please share all the adventures you encounter on your self-publishing journey! You’re a wonderful mentor and I’ll wish you success even though there’s no doubt in my mind you’ll be brilliant at this. I’m eagerly awaiting more news about your indie experiences, so here’s hoping you keep us up to date- I like learning from the best! Holly, I’m thrilled that you’ve decided to self-publish. Congratulations. As somebody mentioned upthread, there’s still a bit of a stigma attached to self-publishing, and the more established authors who embrace it, the more that stigma will get squashed until, hopefully, it dies. I took the plunge and self-pubbed my debut novel a couple of months ago. It’s not selling like hotcakes yet, but it’s getting fantastic word of mouth, and more importantly, I’m having the time of my life. SO much more satisfying than doing the agent-seeking limbo dance. And re: your FAQ, he basically self-published Dr. Horrible, so I don’t know why he couldn’t do that with Firefly. It’s not like every Browncoat in the world wouldn’t pony up for a Kickstarter campaign to get it funded. I loved “Hunting the Corrigan’s Blood” and can’t wait for you to re-visit Cadence Drake and her world. I’m glad you decided to go indie and I will always be one of your 1,000 faithful fans. Let me know what you’re releasing and when it comes out and I’ll be there for them lining up in your virtual queue. Best of luck, though you’ve got such skill you won’t need luck. I am not a traditionally-published author, but I just self-published my first book last week. I’ve already got people I don’t know personally buying my book (not many yet, but even one is one more than I’d have had with it sitting on my hard drive). My book crosses several genres (historical, adventure, romance, a little fantasy), it’s set in the Old West even though it’s not a western by genre conventions, it’s written in first person, and I’m mortally tired of getting “I love this, but I can’t sell it” replies to my attempts to publish it traditionally. So here it is. It’s called Repeating History, and it’s available at Amazon and on Smashwords. Being able to do this has made writing fun for me again. And that’s all I ever wanted. Well, and to be read. Which is happening, one book at a time. It’s about time. I read you on Bean Books and thought at the time you’d be successful as a self-published author, but thought from your posts that you would never subscribe to anything but traditional publishers. Seems another good author has gotten the news. Now, convince the SFWA to follow suite, and enjoy the thrill ride. Holly, I am so excited for you! For months I have been chanting at the computer, “You need to go independent!” so I am thrilled you finally heard me. I think it is a great move for you and I know you are going to be just as successful if not more so! I will be following you avidly on this new adventure because I am just on the cusp of publishing my own first novel (thanks to your classes and your encouragement) and am just going to start indie from the beginning. I’m nervous, but excited, too. I think your decision to self publish is the best thing possible. Your first move is to go back to an earlier series that went out of print too quick. This seems to follow the same logic as the Rebel Tales idea. Being able to offer your work to the public, and then enabling them to go back and get your previous work. Long live the Mid-list! Good luck, Holly! As a long-time member of Forward Motion, and a student in both HTTS and HTRYN, I truly appreciate what you’ve done for all aspiring authors. I will be watching your progress with interest, and I hope you will keep us informed along the way, since I, for one (and I know there are many others) have questions about the whole process. I have been writing for years now, and have gotten some partial requests from agents with my last two attempts. I really love both the worlds and characters, and I think my writing is strong enough to stand for itself (thanks to the above mentioned classes), so I’ve been thinking about self-publishing. I’ve watched the growing popularity of e-readers, and, while I’ll always love BOOKS, I think digital publishing is going to continue to grow by leaps and bounds. So…I’m very interested in seeing how this journey goes for you, as I think I’ll be taking the same trip soon (although without as many companions). That’s a big change! Good luck! I pretty anxious to be able to read more of your work. The only one I’ve ever found in a store was “Talyn” which I enjoyed (it’s also what led me to your website and your books on writing), so I’d like to read more! I think you are courageous for continuing to make the world fit your dreams instead of trying to fit your dreams into what the world demands. You continue to inspire me. Darn! Now I have to buy an e-reader. Well… you could always read on your smartphone or pc…? As the father of an aspiring writer and an avid SF/Fantasy reader I’ve been keeping half an eye on the industry lately and I really think self-publishing is the way to go. I have been really fascinated by the self-publishing success of Cory Doctorow and Daniel Keys Moran in particular, as well as the self promotion jump-start of Daniel Suarez and John Lenahan. If I like an author who self publishes at a good price, I will tend to buy a copy of each format. I usually end up with a paperback, epub, kindle format (which I don’t even use), and sometimes an audiobook. I am also usually willing to pay a premium for signed copies. When I purchase from someone who self publishes I don’t feel like I’m “voting with my dollars” I feel like I’m actually helping the author directly, which is a much more satisfying and direct interaction. That being said, I think new authors are going to miss a step or two if they think it is really just possible to write, release and profit. How do you plan to handle the editing process for new works as a self publisher? My high-school-age daughter is an aspiring writer, but has discovered that she also really enjoys editing. Do you see any future opportunities for providiing editing services for self-published authors? I just picked up Locke’s book on iBooks. I’ll check it out and possibly get a copy for my daughter. Congratulations on having the courage and energy to make the big changes. unknown and likely to publish only one book. So far, so good. The book is the book I wanted to write, and time will tell whether it is a book others come to want to read. It will be available from the publisher as a paperback and from various sites as an Ebook. My web site has accumulated a few hundred hits, so I have hopes of having hundreds or more readers. In fact, I will give out about a hundred paperbacks: to friends, family, nursing staff, neighbors, etc. Nice gifts, at the least. As you know, some months Amazon sells more Kindle edition books than printed books, and the trend is likely in favor of Ebooks. All the very best, Holly. It’s a brave move and one I’d never make (I’m too lousy at selling). I look forward to keeping up with your progress. Congrats on this decision! I’ve been a fan of yours for a long time and have completely loved everything you’ve written, and i’ve read almost all of it. I can’t wait to be able to download your books onto my kindle. As far as your poll – i voted, but as i said i love everything you’ve written so it was a hard choice, and will definitely pick up whatever you choose to release. However my vote has to go to the urban fantasy cross over – a story like your paranormal romances, only with less romance and more paranormal. I have found it difficult to find writers who excel at urban fantasy for adults. It’s all over YA, and I love ya, but sometimes i just want more than a YA book can offer. Plus occasionally i get so tired of teen drama..
I’m paddling up this same river with you. I just sent my first, Puca: A Fantasy, out onto the wide world on Amazon and Smashwords. And I’ll be doing it with others as I get my rights back from publishers. This is so much fun I’ll be writing other stories that I’ll put out myself as well. I have to say a regular paycheck was a huge factor in choosing Indie over a Publisher. Other factors were more control over cover art and style issues. 4 years ago, I wandered onto Forward Motion. I started working on a book there, and moved onto DIY publishing a year ago this week. I’ve been wondering if you were going to take the plunge or not. I think you have made a great move! I’m looking forward to seeing your books come out. I’ve always played with the idea of making myself a website and self-publishing, and at the same time putting art of my novels on the site (I’m an artist). Your latest newsletter and blog posts have really inspired me to go for that. I’m not good enough yet — I’ve had people who don’t know me tell me they’d buy anything I sold, but I know that’s not much to go on, and my art needs a LOT of brushing up on (har har) before I make a site — but… you know, I think I’ll go for it and really work hard on my skills so I can do it. I’d suggest reading Dean Wesley Smith’s blog, especially http://www.deanwesleysmith.com/?page_id=860 Killing the Sacred Cows of Publishing, especially the Chapters on Rewriting. You don’t want to rewrite your voice out of your works. Hi Holly. I think it’s great that you’re pursuing self-publishing. I’ve read a bunch of your books and I’ll definately be on the look out for more. I have one question about the general ‘moving from pro publishing to self publishing’ situation. How does an agent figure in? Does an author keep their agent in hopes of selling foreign, audio, etc. rights, or do they part ways? And J Konrath: http://jakonrath.blogspot.com/ He self-pubs and does experiments: changing ebook covers, etc. to see how they sell. You go girl! I wish you much happiness and success. Quick question before I get to enjoy my lunch of Potato & Orange Marmalade sandwiches, when you talk about self-publishing, does that translate solely as an “Ebook”? Does self-publishing in today’s market incorporate printed books as well? Good for you, Holly! Push hard to get whatever you can up before Christmas. It’s probably going to be another record year for e-reader sales, and last holiday season proved that is a tremendous driver of e-book sales. Way to go, Holly! Nice site, nice direction…cool! Wow – what a big step! Congratulations and the best of luck to you! I think this is so true, Holly. I’m so glad you’re getting to do what you do best, on your own terms. Whew. Good luck, Holly. I’m pretty sure you’re going to pull this off and you’ll be healthier and wealthier by this time next year. I have self-publishing as my ‘plan B’. I’m still pursuing the NY houses (and that’s part of the reason why I’m shelling out the cash for the PNWA Conference this week). There are two things I’m hoping to get out of that, apart from scratching a masochistic itch. 1. I want to work with a professional editor and learn from what they have tell me. I’d prefer Lou Anders but there are other editors I’d like to work with. Right now, I’m teaching myself, which is a bit of an uphill slog even with my critique group to give me feedback. 2. I want to get my name out there. I at least have a chance to make a big splash with my first novel. And, yeah, I do want to see my name on the shelves at the Woodinville Barnes and Noble. If and when I self-publish, it will be easier to be successful if I already have a track record of proven quality. If I get a sale at Baen or Ace or Tor I can point to that and say ‘at least someone thinks I can write’. But plan B is still there and still attractive, especially for the niche novels that have people interested but not enough to push. I’ll be following your adventures closely and it’ll be good to know that if I’m buying something from your backlog, they money is (mostly) going to you. I would love to read any books you publish but will they be available in print? I don’t have a Kindle or e-reader. I am definitely looking forward to reading your Cadence Drake books because you are so passionate about them and I’ve heard about them in your courses. I’m also looking forward to reading Fire in the Mist. It’s really exciting that you’ve reached a new turning point in your writing career and I wish you all the best. I’m going to use Createspace — but I already own all my own ISBNs, so they’ll be coming out with the same imprint and logo I use for my self-published non-fiction, OneMoreWord Books. I’m glad to see that you will also have actual prints of your books and not only eBooks. Even though I do own (and use!) an eReader too from time to time, I prefer actual printed books so much more. It is amazing to see how different the reading experience is with a printed book compared to an eBook. But of course that will always be a matter of taste vs practicality. I’m glad to see that you leave the choice open for us to choose which book option we prefer! Speaking as a newbie, fresh off the boat without a single publication, I don’t intend to be fed through the legacy publishing meat grinder. An author who I really admired told me my writing was strong and that it might only take me three or four years of making submissions to get an agent or editor’s attention. I guess three or four years is okay for some, but not me. I don’t care about the money, or about fame or about carrying copies of my book around Barnes and Noble with the back cover opened to my picture so everyone will know who I am 🙂 No, I wouldn’t mind seeing my books on the shelves, but that’s not a priority to me. What I want is readers, who read my novels and love them because of how and what I write. I want to be free to write stories I love, with characters I love. I peruse a couple of message boards where self publishing is thought of as quite low brow. The rule of thumb is, if agents and editors are rejecting your work, it’s not good enough. And how dare you complain at the thought of making changes demanded by an editor or agent. They know far more than you. Really? Do they know, or care what I love about my writing? Or do they just see dollar signs? Do they care that I found ten people who I would consider my target audience who loved my book? Apparently, no they don’t, according to the frequenters of those boards. If an agent or editor tells you to make a change it will make the book better, so stop being a crybaby. Yes, better as in more marketable. Dilute your book so it appeals to as many people as possible, in rather the same way plain oatmeal is easy to eat. Certainly not something I want every morning. I don’t want 2 million readers to buy my first book, decide they aren’t impressed and never buy another book by me again. I want 50 true fans who will buy every book I publish, rave about them to their friends and come to my website to get to know me and learn more about my worlds and characters. I know authors who are quite happy being traditionally published and I’m happy for them. But when they talk about the realities of being published it sounds pretty crappy to me. I’d rather go my own way. But, frankly, if you want to get paid regularly, and you want to eventually want to be able to make a living as a writer, start establishing yourself from the beginning as a self-publisher. If you start selling in crazy numbers, the publishers will beat a path to your door begging to sell your fiction for you. If you don’t you’ll still be able to build a readership, keep all your work in print, and get paid every month. Thanks for the reponse Holly. I think you’re likely right, and as you say the publishers will come calling in the end if the works are successful enough. And the more I read about the “traditional” path the more I dislike it! My main goal is to get my stories out there and visible to readers of relevant genres/comparable books. A bit of what you were talking about in “Are You My Reader” – while the dream of being a best selling, multi-millionaire writer is nice, I’m not willing to write mainstream or bland stories to spec in order to get there. I can’t wait to follow your journey and thank you for sharing so much of it with us. Hi Holly, I think it’s fantastic you’re going down the self-publishing route. I’ve been following the trends of publishing for nearly a year now (since I decided to take my own writing seriously and get some work finished) and it’s amazing how much the e-book market has boomed and given writers a real choice in how they want to run their business. I was wondering what your perspective was on debut novelists choosing between self-publishing and traditional publishing? I think self-publishing is a great option for established authors like yourself, tired of the nonsense and problems with publishing houses, but I’m not so sure about us newbies; with less material and no established audience I worry it doesn’t offer the same opportunities as so-called “legacy” publishing. Thanks for any input you (or anyone else) can give. It’s not just for established pros.. Ever hear of Amanda Hocking? http://www.usatoday.com/life/books/news/2011-02-09-ebooks09_ST_N.htm She self-pubbed, made millions, literally, she’s estimated to make $2 mil a year off her self pubbed ebooks. She’s now made a deal with traditional publishers to get her books in print and for sale in bookstores, which is a mistake in my opinion. She’s even admitted she’ll be making less money with this deal. But she wants them in print, so…it’s her decision. There are also other self pubbed authors who’ve made deals with traditional publishers after succeeding at self publishing. I’ve read that it’s possible to get your books in print without dealing with trad. publishers–you just need a printer/someone to make the physical editions and someone to make the deals with the bookstores. Her blog where she talks about her decision http://amandahocking.blogspot.com/ Did I mention they’re making movies of her books? The Tyrelle series, iirc. Not bad for an unknown, self-pubbed author. I don’t think most people will be her, but she shows it’s possible.